The dreaded Gorgeos the Green! Comes in 2 sizes - see my other listing! 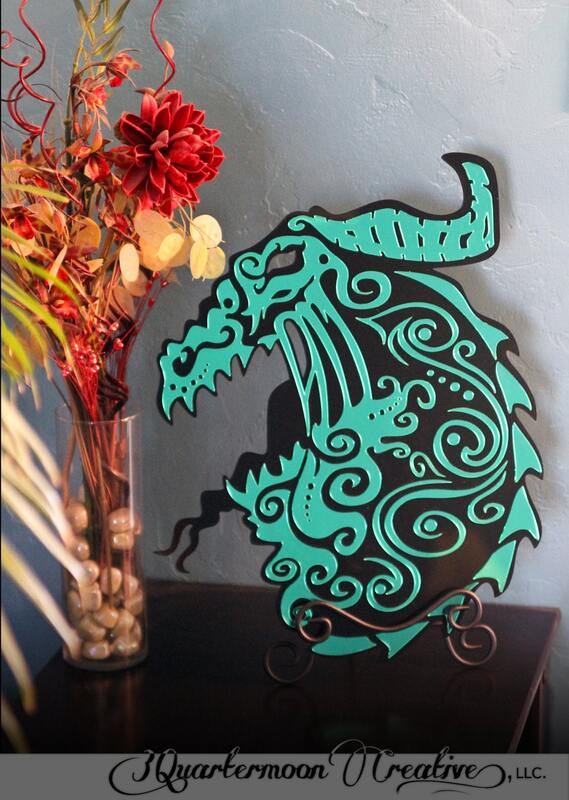 My original design laser cut in 2 layers from cast acrylic. Top layer is green mirror acrylic with a shiny reflective quality. 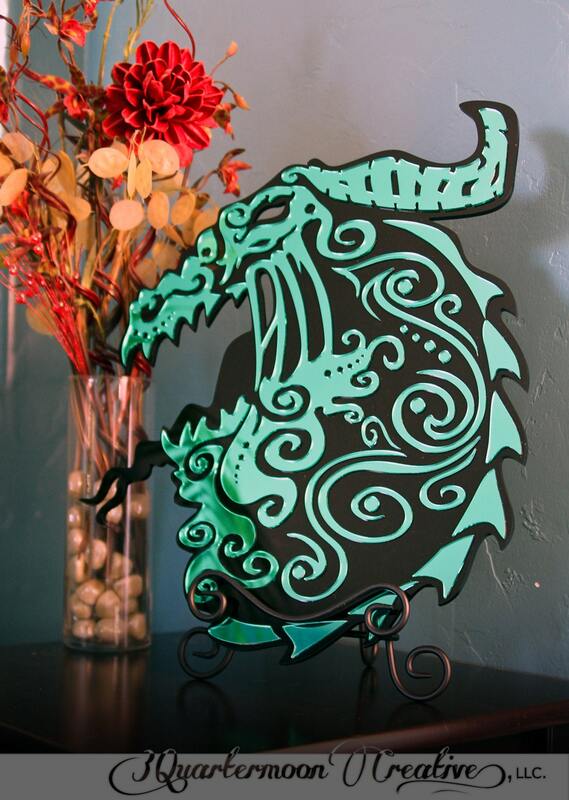 Beautiful Dragon Plaque comes with metal tripod stand and French cleat hanger for wall display. looks great on a shelf or on the wall.